Your Sayulita Wedding will be unforgettable! Sayulita Weddings is a company devoted to creating unique weddings for unique clients. Please allow us to show you how we can turn your tropical wedding dreams into a beautiful reality. By believing each wedding should reflect the couples' passion and love amongst themselves, their loved ones and life itself; Sayulita Weddings can assure you the most spectacular event of your life! We provide our clients with the most professional, honest and complete service for events and weddings in the Sayulita Mexico area. Sayulita Weddings was founded by Luz Ochoa and Alonso Arechiga. Luz Ochoa's vast experience in the production business includes commercials and video productions as well as corporate and social events in Mexico City. Along with her husband and partner, Jorge Angulo, she founded Vallarta No Problem!, a company dedicated to provide logistic and innovative support for large events as well as equipment rentals. Alonso Arechiga is in charge of the public relations for Don Pedros, the most exclusive and recognized restaurant and caterer in Sayulita Mexico. His experience and knowledge of Sayulita weddings assures you of a professional, elegant, and spectacular event. Alonso's participation includes coordinating the wedding location with Don Pedro's award-winning catering service. Please contact us via the form and call or email in order for us to begin preparing wedding suggestions and a price quote for the most special day of your life. My daughters wedding was beyond our expectations. Don't expect Luz to call a great deal during the planning and from a U.S. standpoint this can be daunting (don't stress like we did). HOWEVER, when we arrived she had everything down to a fine science and we were blown away by what she had set up; from the Welcome Party to the final moments of the wedding reception~ PERFECT! We set back and enjoyed taking it all in. As a mother, to not lift a finger is Wonderful. Luz is the absolute BEST! Everything was absolutely perfect. She handled every single detail and created a very stress free wedding planning process. We only had a few conversations, so I wasn't quite sure how things would turn out (I have never planned a wedding before so I didn't know what to expect), but seriously everything was so wonderful and beyond magical!! I would highly recommend Luz and her team, they clearly know what they are doing! Many of my guests said it was the best wedding they have ever been to. Luz planned a great welcome party for all of our guests as well. Best week of my life!!! Our wedding in Sayuilita was everything we hoped for and more. Luz did a great job and exceeded our expectations for our welcome dinner and our wedding day. All our guests were amazed at how beautiful all the events turned out. There were a few issues with communicating with Luz leading up to the wedding when she was late to many of our calls, but otherwise, everything turned out beautifully and we couldn't be happier with our special day. I very much appreciate your straight feedback. But I'm glad to now that despite the communication problems, you were really happy with the final result. I look forward on seeing you back in Sayulita very soon! We just got married March 17th in Sayulita. Luz was absolutely amazing coordinating every detail of our wedding week there. I can't say enough kind and wonderful words about her and her services!!! We coordinated via emails, conference calls, and she was by my side for anything i needed once we arrived. Luz is incredibly sweet and very professional. She coordinated a welcome party for my guests and the wedding. She listened to every detail I wanted and went way above and beyond my expectations. The flowers were absolutely stunning, the food was excellent, the decor was perfect, and every small and large detail was beyond my expectations. She also knew exactly how to cater to my family and friends we had there. And most importantly she captured the feeling of the week and what we wanted to achieve. My family and friends are still talking about how amazing, gorgeous, fun, and magical the events were. It truly blew my mind away. Also during the day of the wedding her coordinating skills were expertise. Everything went so smooth and she made sure everything was in place and that everyone was having a good time. She is a must when planning a wedding!! I will return just to have her throw me another party!!!! thank you Luz! We adore you for making our wedding adventure the most magical experience!!!! The best service, I love the place and everything that was involved in my event, Luz and all her staff were very kind people and help you to really enjoy your day! I did not have to move a finger during the event. Excelent support from the planner and her staff. We had an outstanding event. The dream wedding I didn't even know I wanted! Our wedding was planned over a couple of conference calls, several emails and one in-person meeting upon arrival in Mexico. Luz and team of Sayulita Weddings listened to our wants & needs and on January 19th, 2017 they coordinated an unforgettable event of which our 90 guests are sure to remember. "Beautiful", "Whimsical", "Magical" and "Amazing" where some of the words used to describe the evening. Muchos gracias to Luz Ochoa for all her efforts, attention to detail and planning a wedding beyond my wildest dreams. 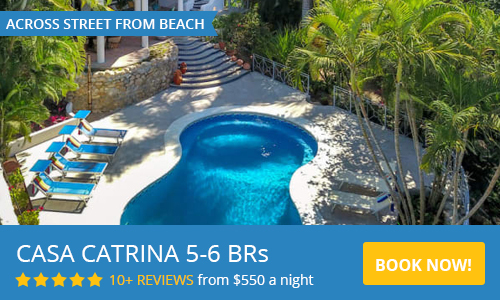 After booking our stay and arriving at Playa Escondida, we were introduced to Luz via email and were able to get the planning process started well before our arrival. She was very helpful from day one, and on the day of the event, was there to make sure everything was perfect. It was so nice for us to have her around and to have her present as a witness for our two person wedding. We felt that she was not just our wedding planner, but our friend, and could not be more satisfied. I highly recommend her services, as well as Playa Escondida, as their hotel and staff are amazing. Thank you Luz and team!! As parents you hope the wedding will be as special as she deserves. You want the best. Luz worked directly with our daughter and I do not know how the wedding and events could have been better! Luz helped me arrange a fishing trip for 9. A great time out on the water and everyone caught fish. We loved working with Luz at Sayulita Weddings. We were in communication with Luz for about a year leading up to our wedding. She was so gracious and accommodating. Not only did she help plan our wedding, but also helped coordinate the other parties and activities during our stay in Sayulita. Luz's recommendations were a perfect fit for all of our needs. It was such a gift to be able to enjoy our wedding day without worrying about a single thing. Our wedding at Brisa Mar (Don Pedro's) Palapa was seamless - it was a dream come true. Thank you Luz!